Images courtesy of Livin Studio. Photos by Paris Tsitsos. Before you toss out that plastic bag, consider using it as food. Fungi food. 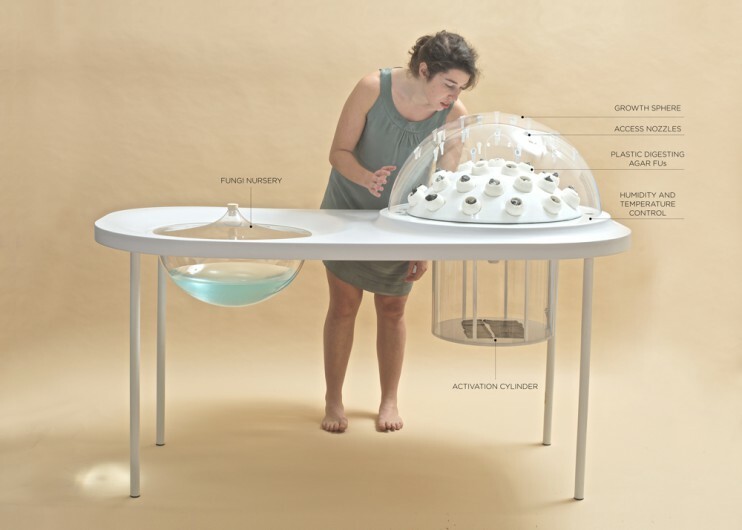 Designers Katharina Unger and Julia Kaisinger of Livin Studio recently unveiled Fungi Mutarium, a farm for growing edible fungus from toxic waste materials like plastic. Scientists have shown that certain fungi can metabolize and degrade toxic and persistent waste materials and convert them into edible biomass. In the near future recycling might seem passe when using plastic waste as fungi fuel could provide a delicious meal for the table. 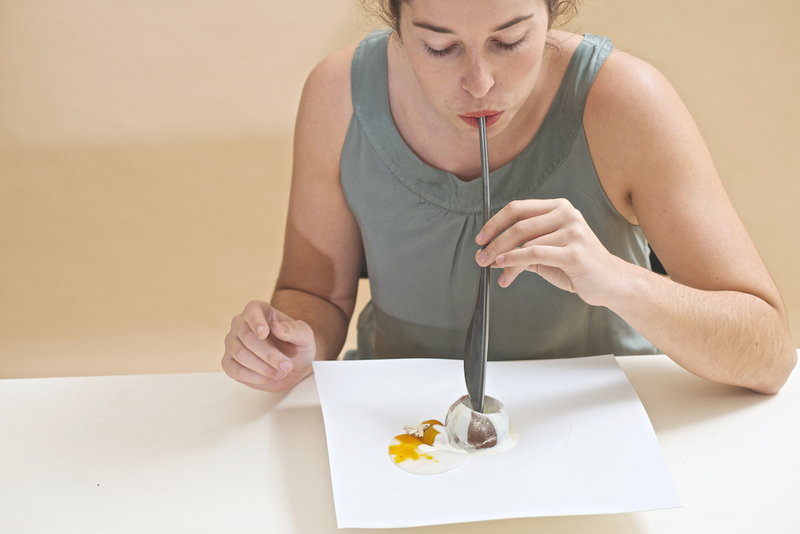 Working with researchers at Utrecht University, Livin Studio identified a need for new technologies “to farm under extreme environmental conditions.” The six-month fellowship resulted in three design solutions: an edible fungi pod, a farm system for cultivating the pods and a cutlery set. The fungi pod, or FU, is an edible agar bowl that serves as a nutrient base for the fungi. When the FU is filled with plastic, the fungi digests the waste material while it grows into the agar substrate resulting in an edible mushroom pod. The activation cylinder sterilizes and activates the degradation process of the plastic using a UV light. Plain agar FU is placed in the growth sphere. Sterilized plastic is stuffed into the FU. Fungi sprouts in a nutrient solution, or macerate, is extracted from the nursery. Extracted macerate is seeded into the FU pods. Within a few weeks, the FU is ready to be harvested and prepared. 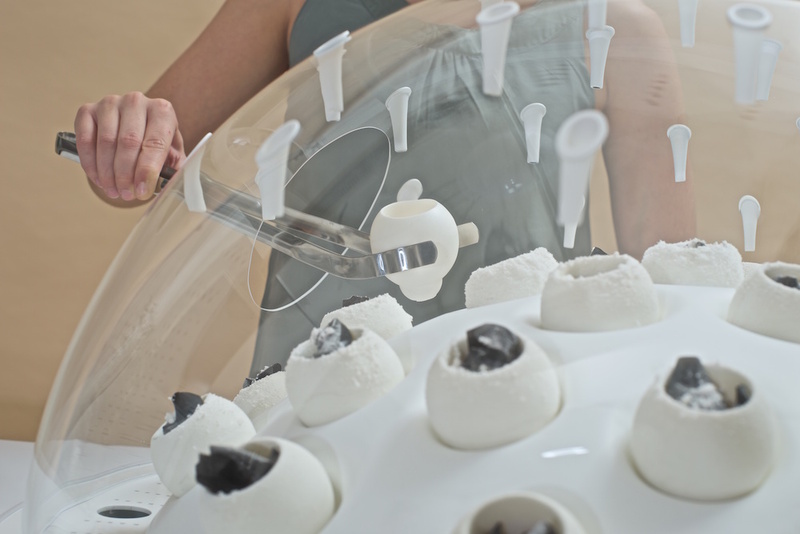 With so much interest in the project, MOLD spoke with Katharina Unger of Livin Studio about the process behind designing the Fungi Mutarium, the inspiration for the pods and why a little luck helped move the project along. MOLD: How did you come to work with mushrooms? 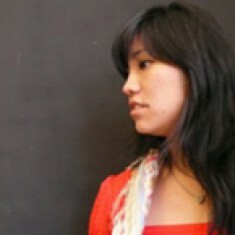 Katharina Unger: Livin Studio works on creations at the intersection of humans, nature and technology. It was founded as a platform to explore applications of an innovation-driven design approach, mainly in the fields of agriculture, the food industry and research. 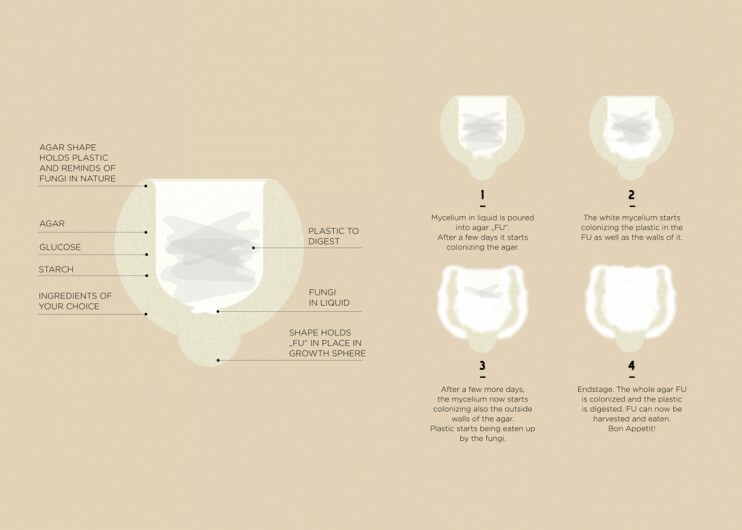 The project was initiated through the Bio Art and Design Award, a Dutch grant to match designers with scientists and research institutes. We wanted to work with material that has not or only little been considered as food so far. We met with Dr. Han Wösten from Utrecht University who introduced us to their research on fungi (mycelium) that has the properties of digesting plastic material. This is how we started to develop this project together. Farmers are increasingly dealing with extreme environmental conditions to produce food. 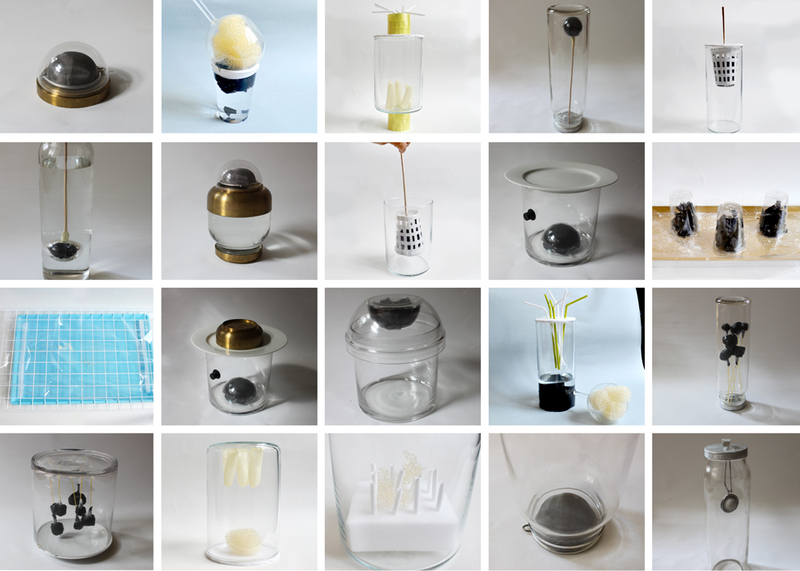 Fungi Mutarium is a project to address how new biotechnologies might be applied to grow edible material on so far harmful or even toxic waste material. 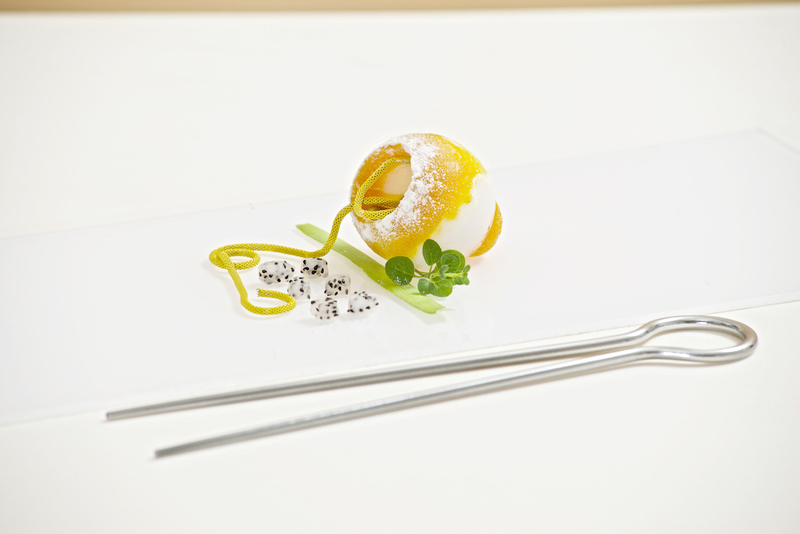 We were very inspired by working with mycelium as food. So far, we only consider the mushroom, the fruit body of the fungus, as a food product. However, the mushroom is only a small part of the whole organism—the mycelium is so much larger. Why not see if we could use this as a food too? How did you come to the shape and the material for the FU? Where does the name FU come from? Agar is a seaweed-based gelatin substitute and acts, mixed with starch and sugar, as a nutrient base for the fungi. It is used a lot in the laboratory to grow fungi in petri dishes in order see how they react with different materials. We experimented with a lot of different ways to grow and harvest the mycelium and finally chose to work with agar. It can be rather neutral in taste, but, depending on what you add, can also enable a lot of variety. It also gave us the opportunity to create a very “functional” food product that holds the plastic material and, later on, can be filled with sauce or other edible treats. Is the final edible product a combination of FU and mycelium or just the mycelium? Does the texture of the FU change once it becomes “food” for the mushrooms? The final edible product is the agar substrate, mixed with whatever spices or ingredients you wish, and the mycelium. The FU shrinks a bit while it gets colonized by the mycelium. 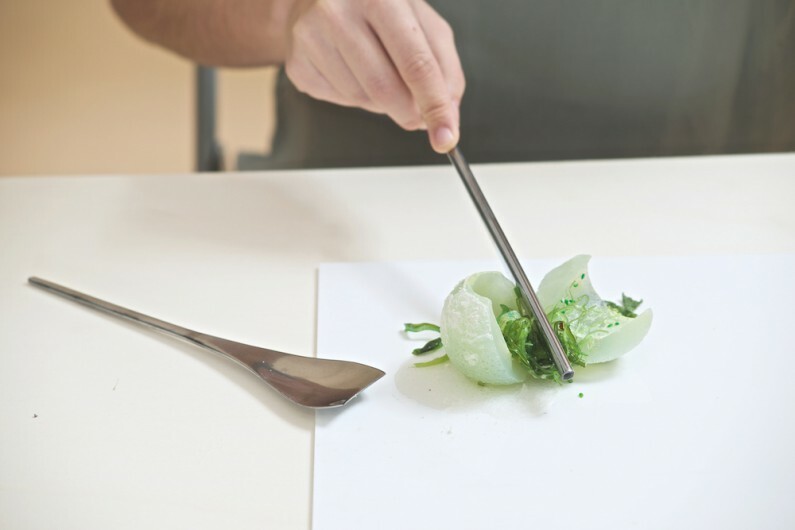 What was the process like for designing the cutlery? It takes many parts to tell the story of a novel food product, especially such a provocative one. We felt it was necessary to design every aspect of the interaction between the growing, the food itself and humans. For our show in Eindhoven, we designed a whole dinner environment, from which people can see how the experience of a dinner with FUs could look and feel like. 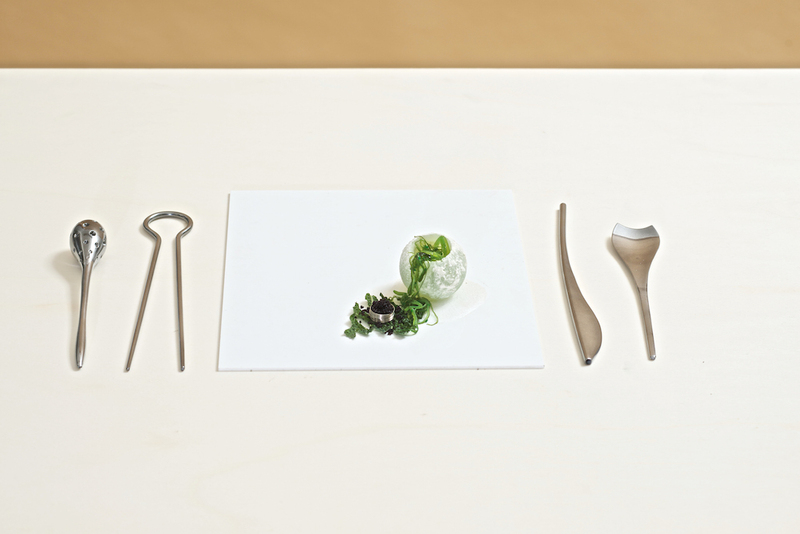 For the cutlery itself, we just thought of the different ways to interact with the food. From Round Chops, the most social utensil with which you can serve FUs to your friends down to very functional ones, like the Moon Spoon. Mix water with the agar powder and bring to a boil. Add glucose and lime juice. Add seaweed extract and a dash of soy sauce. Pour hot agar mix into FU shape and let it set in the fridge. 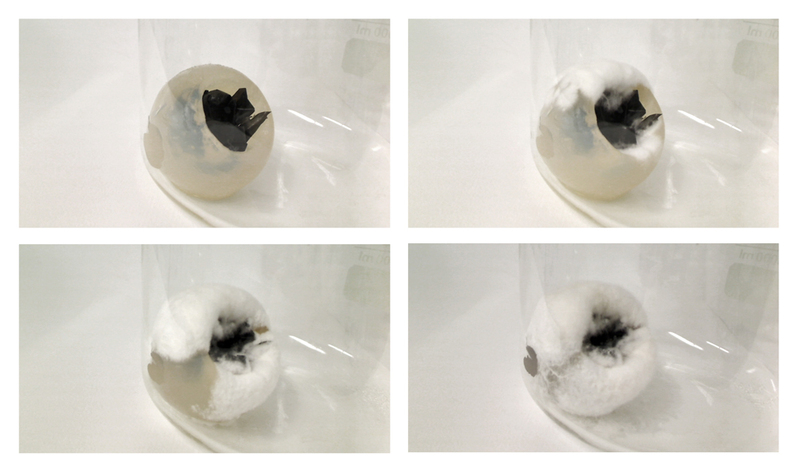 Inoculate FU in Growth Sphere of Fungi Mutarium and allow the mycelium to over-grow the FU. Soak wakame for 5-10 minutes then drain. Slice wakame into thin strips. Steam or heat it up in the frying pan at a very low temperature. Mix the rest of the ingredients together and pour over wakame. Boil water and blanch cabbage leaves. Add a few drops of lime on top of the caviar. 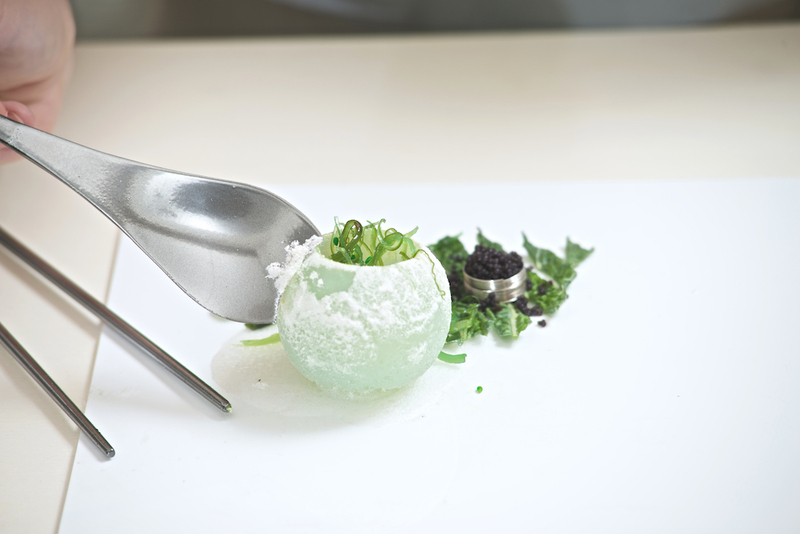 Stuff the goma wakame into wakame-lime FU and serve caviar and cabbage on the side.